Having a healthy heart is no rocket science. Everyone can save their hearts by following simple measures and leading a healthy lifestyle. Not smoking will keep your heart strong. If you are a smoker, you are twice as more likely to have a heart disease as compared to a non-smoker. The moment you quit, risk of heart attack begins to diminish instantly. Too much of salt raises blood pressure, which in turn puts you at an increased risk of heart disease. So, better cut down on salt intake. The recommended salt dosage for an adult of sodium (salt) is 1 teaspoon maximum per day. A healthy and balanced diet can cut your risk of heart disease manifold. Include plenty of veggies and fruits, grains, and oily fish are considered healthy for the heart. Too much of alcohol can increase blood pressure and damage the heart muscles in addition to weight gain. Avoid binge drinking totally, limit your drinks to 2 units a day. To keep the muscles of heart strong regular exercise is much needed. Aim for 20-30 minutes of cardio workout every day. Exercising regularly not only helps you keep fit but also improves your alertness and keeps stress at bay. Belly fat is the worst thing to have. So, extra weight can affect your heart’s health and tummy fat can be a pre-indicator of diabetes, hypertension and bad cholesterol is a huge risk of heart disease. Stress can adversely affect all systems of body, even though we understand it is inevitable in today’s life. Try some stress reliving techniques to sooth the mind. Mediate, do yoga, play a sport or simply unwind post work. People with high blood pressure bear a higher risk of stroke or a heart attack. High amount of LDL (bad cholesterol) is bad for your heart. Keep a tab on your blood pressure and cholesterol by monitoring it regularly. Pressure or discomfort in the chest, pain in neck, shoulders and arm on physical exertion can be a sign of heart disease. If you are experiencing any of that frequently, get yourself checked. Furnish yourself with knowledge about heart disease. Going for annual preventive health checkups is the key to lasting good health. Regular screening helps you catch diseases in their early stages, when they are still in a better state to be managed and treated. 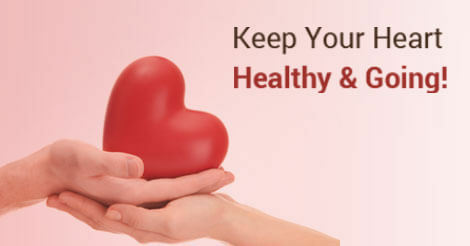 A healthy heart is a key to a healthy life and necessary precautions should be taken. There should be measurements to keep your heart healthy including a healthy diet, exercise and a suitable preventive health checkup. You may opt for the essential heart checkup by Indus Health Plus, which gives the status of your heart and what needs to be done. If you have further questions, get in touch with us by filling out the query form below.